Build is Microsoft’s big annual developer conference where they share their vision for technology and seek to empower everyone to be more productive. 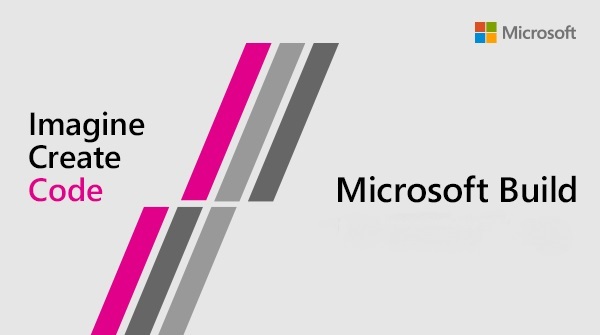 First held in 2011, Microsoft Build is an event aimed towards enabling software engineers and web developers using Windows, Windows Phone, Microsoft Azure, and other Microsoft technologies. At Build 2018, Microsoft continues to pursue its mission to empower more people and organizations through the forces that will shape the future - particularly AI, Machine Learning, Cloud Computing, and App Development. Microsoft continues to utilize technology to impact and improve the quality of human life. With AI, they are opening the door to a new wave of possibilities to break down barriers in communication and really impact the lives of people with disabilities. At Build 2018, Satya Nadella announced the company’s new initiative: AI for Accessibility. It is a $25 million, five-year program to encourage the development of AI technology aimed towards helping the disabled community. The program will provide grants and support to research organizations, NGOs, and developers as they set out to empower and enable the more than 1B people with disabilities around the world. The conference was a showcase of several technologies that greatly improved the quality of human life. This included AI-powered productivity solutions for the workplace. Modern Meetings was Microsoft’s approach to the good old meeting. They showed developers how real-time AI services, Microsoft 365, and Cortana promote active collaboration in meetings. From real-time transcription to immediate data access in Power BI, integrated tools are bringing coworkers and content together in new ways. The meeting room used hardware that features a 360-degree camera and microphone array that can detect anyone in a meeting room, greet them, and transcribe what they say in any language. It’s also capable of real-time translation. It further uses AI to follow up on what meeting participants say in a meeting. So, if a participant says “I’ll call you tomorrow,” they’ll get a notification in Microsoft Teams. Modern Meetings promises to make meetings and conferences more manageable. And speaking of Microsoft Teams, improved collaboration tools for the platform were also announced. Companies can now bring a line of business apps into a dedicated section of the Store just for their organization. By bringing line of business apps to a hub of communication and collaboration, companies can reduce unnecessary friction that allows them to build upon the contributions of their colleagues. One of Microsoft’s major anouncements at Build 2018 was the move of Kinect to the cloud. Kinect may sound familiar for gamers as it was first used as a motion-and-voice control system for the Xbox 360 console. “Kinect, when we first launched it in 2010, was a speech-first, gaze-first, vision-first device. It was used in gaming, and then, later on, it came to the PC, and it was used in many applications: medical, industrial, robotics, education... We’ve been inspired by what developers have done, and since Kinect, we’ve made a tremendous amount of progress when it comes to some of the foundational technologies in HoloLens. So we’re taking those advances and packaging them up as Project Kinect for Azure,” said Satya Nadella. Project Kinect for Azure brings together important advances in AI-enabled edge devices with object sensing, skeletal tracking technology. And combined with a cloud platform, the possibilities are truly endless.